Day two in Goodyear on the backfields was a little bit different than it was on day one. 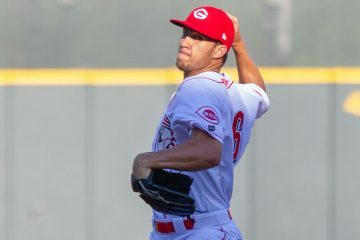 There wasn’t a big leaguer coming to the backfields on the Reds side of camp like there was on the first day when Michael Lorenzen got his time with the Double-A team. 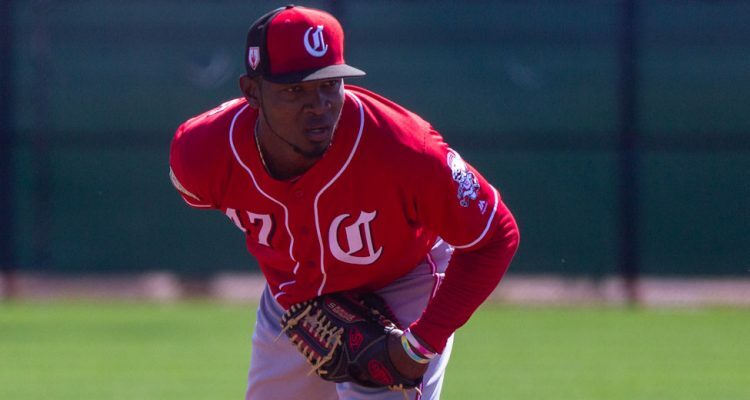 But there were a few interesting things that took place on Tuesday in Cincinnati Reds camp. Bare with me for a second here while I make a quick sales pitch. 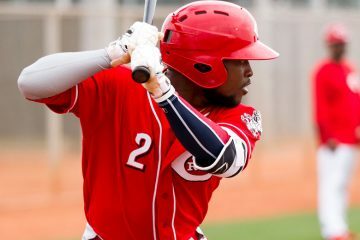 All of this information, and more, was sent out to those who support RedsMinorLeagues.com through Patreon last night. For as little as $1 a month (or as much as a billion a month, Jeff Bezos – I know you are reading this), you can help support the work here and get early access to information, daily emails during the season with tons of additional information, and more. If that’s something that sounds intriguing, check out this link and get more information. Unfortunately I was unable to make it to the fields on time for the start of the workouts at 10am. There probably wasn’t much of anything that I missed out on, but it’s certainly possible. I didn’t miss out on one thing, though. Calten Daal, who has missed most of the last two seasons with injuries, was on the field for batting practice. After that, he headed over to an empty field and worked one-on-one with hitting coordinator Milt Thompson on some mechanical things. I didn’t get a chance to talk to anyone about this specific part of it, but he looked like he’s gotten stronger since I saw him last year at this same time. I’ll try to talk to someone about Daal today and get an update on where he’s at health wise. When the games started I was focused on the Low-A Dayton game. The lineup had a few guys I was interested in getting looks at, and Lyon Richardson was on the mound. The first inning was quick and easy against a rather stacked Indians prospect lineup. The second inning saw him give up a few hits. The good was that his breaking ball (85 MPH) looked better on Tuesday than I saw from him in 2018 in Greeneville. My viewings in Greeneville were very limited, though, as he only pitched one inning the first time I saw him last year and two innings the next time. On the flip side of that, the velocity he had shown before last years draft, when he was up to 98 MPH at times, still wasn’t present. He was throwing 90-92 and touched 94. Later in the game saw Raul Wallace take the mound. If you are wondering who that is, or the name sounds familiar but the position doesn’t – he is a converted outfielder. He played with the Dayton Dragons last season (and had 1 game in Billings), where he hit .254/.276/.384 in 146 plate appearances. Like above there’s some good news and not-so-good news here. The not-so-good news is simply that my video camera overheated thanks to the Arizona sun and I didn’t get any video of Wallace on the mound. The good news is that his strong outfield arm converted well to the mound when it comes to velocity. He was throwing 93-96 MPH on the day. A little over a month ago I wrote up the report on outfielder Danny Lantigua. In 2018 he showed off all kinds of power, from both sides of the plate, in the Arizona Rookie League. He also had a lot of problems making contact – striking out 35% of the time he stepped to the plate. The tools, though, they are present. On Tuesday it was the first opportunity that I had to see Lantigua in person. The initial reaction is that, man, he passes the eye test. Lantigua just turned 20-years-old two weeks ago. He’s listed at 6′ 1″ and 165 lbs. If he still weighs 165 lbs then I’m the king of France. In the game he didn’t do much, but the bat speed stood out and you can clearly see where all of the power is coming from. At the same time, you could see where all of the strikeouts were coming from, too. There’s a lot of potential here, but there’s some risk, too. There were two plays that stood out on the day. Both came from the center fielders. In the Low-A game for Dayton, Mike Siani ranged deep into the left-center field gap to make a diving play. Earlier he also threw out a runner trying to go 1st-to-3rd on a hit, showing off his strong arm. On the other field in the Daytona game, Lorenzo Cedrola made a nice diving grab to his left on a low line drive. Today the Dodgers come to Goodyear. I’ll be back with more notes from the fields tomorrow. 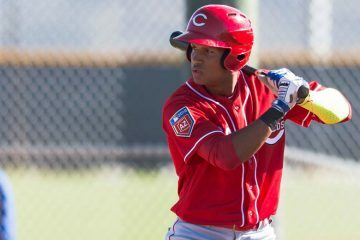 Which Reds prospects face a make or break 2019? Way off topic question, but it seems to be a hot issue. 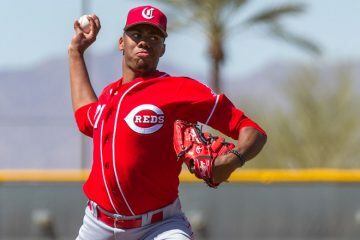 Do you have any insight on the Reds video game playing in the clubhouse either at the big league or minor league level? Met Sinai yesterday before the game and he signed a card for my son. Seemed like a great guy. Hope to see him in Dayton this year. BTW, tell your autocorrect it’s Siani. So Doug, the nightlife is so hot in Phoenix that you can’t get out of bed to get to the field on time? I’ll send my buddy Tony Fossas a note to make sure you are assessed the appropriate fine. Would you assume Calton goes back to AA if healthy? Something to check today would be Stuart Fairchild’s wrist or forearm as he looked in pain with his walkoff HBP last night. Ha! I was out of bed by like 5:45am local time. Fairchild played in the Double-A game today. Not sure with Daal. He’s on my list of guys to talk to more people about. Before the injuries derailed Daal, I thought the #1 thing he needed was to put on muscle. Good to know he did. I’m a believer in his tools and give him a better than average shot to make it despite the setbacks. I though he could be “The General” 2.0.